What Really Is Dry Shampoo? You've seen it everywhere and most likely have used it a few times, but what exactly is dry shampoo and is it even worth using? Dry shampoo is a water-free option for cleansing your hair, also known as the easiest way to get your hair clean without taking a shower. Period. There are several ways to use dry shampoo, ideally on days when you don't have time to take a full shower or are running late. So what products are the best ones to invest in, and how should you even be applying it? All your dry shampoo questions from products to technique are just one click away. 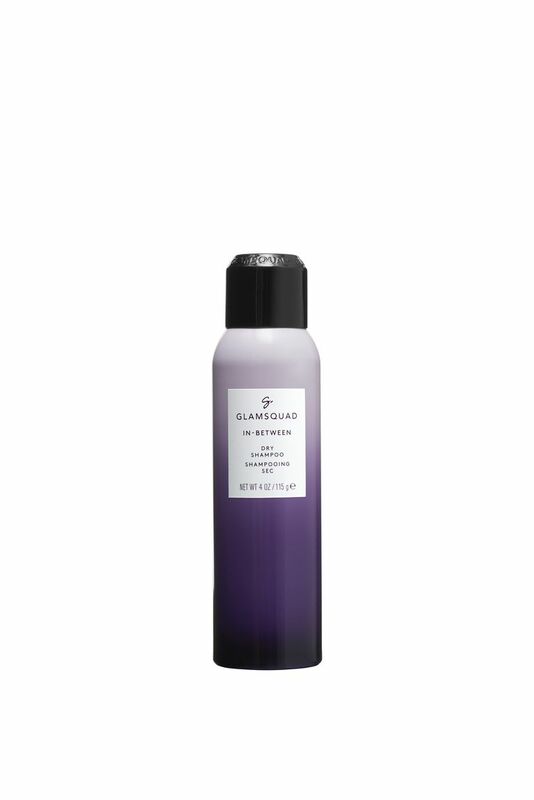 This dry shampoo from Glamsquad is ideal for anyone who has minutes to get ready and wants their hair looking amazing. Using a triple action effect, it helps to absorb oil, control odors, and cleans with triple action leaving your hair feeling and looking revived. Rice Starch helps to absorb any dirt and excess oil from the roots keeping hair clean and manageable. What is your best advice or unique tips on applying dry shampoo? "Using Glamsquad's In-Between Dry Shampoo, shake the bottle and spray 8-10 inches away from the root to absorb oil and impurities. Start by applying on your natural part and hairline. Then, create larger horizontal sections and let the product sit for 30 seconds before massaging throughout hair and styling. If you're looking for added volume, flip hair over and spray throughout, letting the product absorb for 30 seconds before flipping hair back. 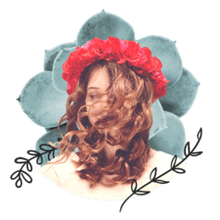 Typically, dry shampoos can be drying or damaging to the strand and scalp, but Glamsquad's In-Between is balanced with macadamia seed oil which keeps strands moisturized without affecting absorption and texture." Can dry shampoo be applied a few days in a row? "Yes, dry shampoo can absolutely be applied a few days in a row! I love to follow days of continuous dry shampoo usage with a mask, like Glamsquad's Re-Treat." This paraben-free and light-weight dry shampoo contains Cloudberry extract to help protect the hair while refreshing it for whatever style you want to wear. After one use your hair is more voluminous and it leaves behind a clean and refreshing scent. This budget friendly silicone-free dry shampoo coming in under $10 gives instant results helping keep hair clean and feeling fresh, with no obvious residue. Spray 8-10 inches away from scalp lightly and run fingers through roots so hair can absorb the mattifying properties, helping to control shine and oil. Style hair as desired and use for another day before shampooing. Formulated specifically for sensitive scalps, this dry shampoo made up of Rose Water and Chamomile soothes irritation and keeps the scalp happy and healthy. Free of sulfates, parabens, and dyes, it's one of the best products to use when wanting your scalp to be free of any reactions leaving hair feeling soft and revived. This two-in-one dry shampoo and texturizing spray addresses all the needs you have from a dry shampoo and helps refine hair's texture at the same time. Excess oil is absorbed, hair feels beautiful and clean after just one use, along with the results of revived texture. Brushes out easily with no residue, you'll immediately love this product. Global Brand Ambassador for evo Hair, Gareth Bromell recommends using it two to three days after shampooing for refreshing volume and texture. When asked if dry shampoo can affect the health of your hair if used consistently, he said "It could cause a build-up on the hair and scalp if over used which might dull hair color." Only using for the two to three days is recommended to keep hair healthy. This dry shampoo gives a fuss-free application each time when used, allowing hair to absorb it's benefits without a total mess. It's sheer formula feels light and airy, leaving the texture of hair feeling clean and able to style easily. Each bottle comes with 200 uses, so you totally get your money's worth when investing in this dry shampoo. This unique formula of dry shampoo actually works like a mousse more than it does a spray or powder. The mousse is an easy application and leaves hair beautiful and fresh after just one application. Simply pump out the mousse and apply to roots with your fingers causing it to absorb all oil and odors. Use a towel over hair to blend mousse in and follow up by brushing and styling. You'll love the way your hair feels, looks, and the ease of the whole process. Suitable for all hair types.